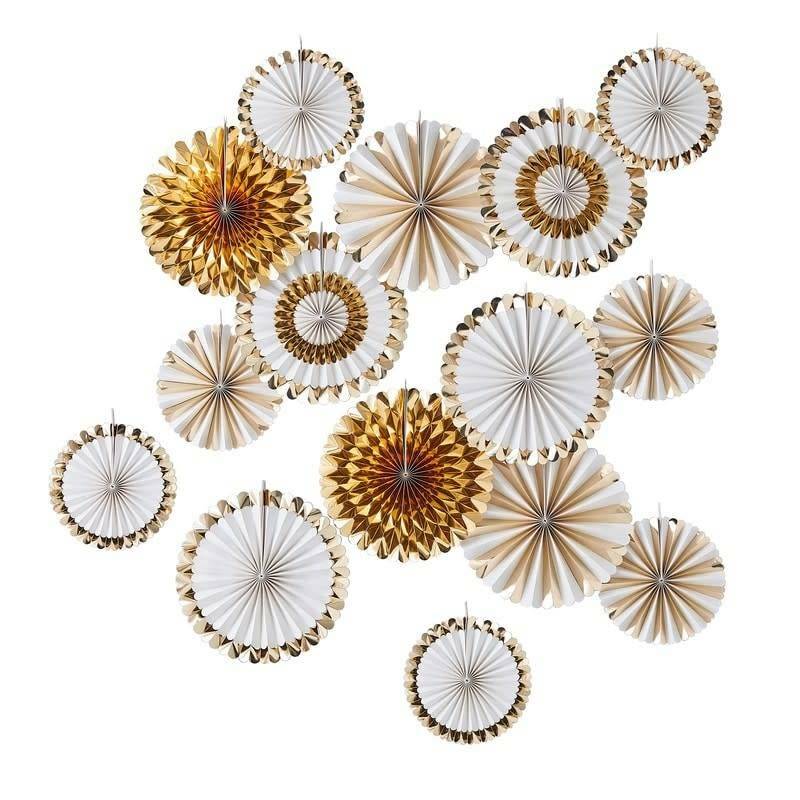 A sure to be talking point of your party, these fans will set the perfect atmosphere for your guests. With gold foil on each fan design, the decoration will shimmer away, and shine brightly around your venue. 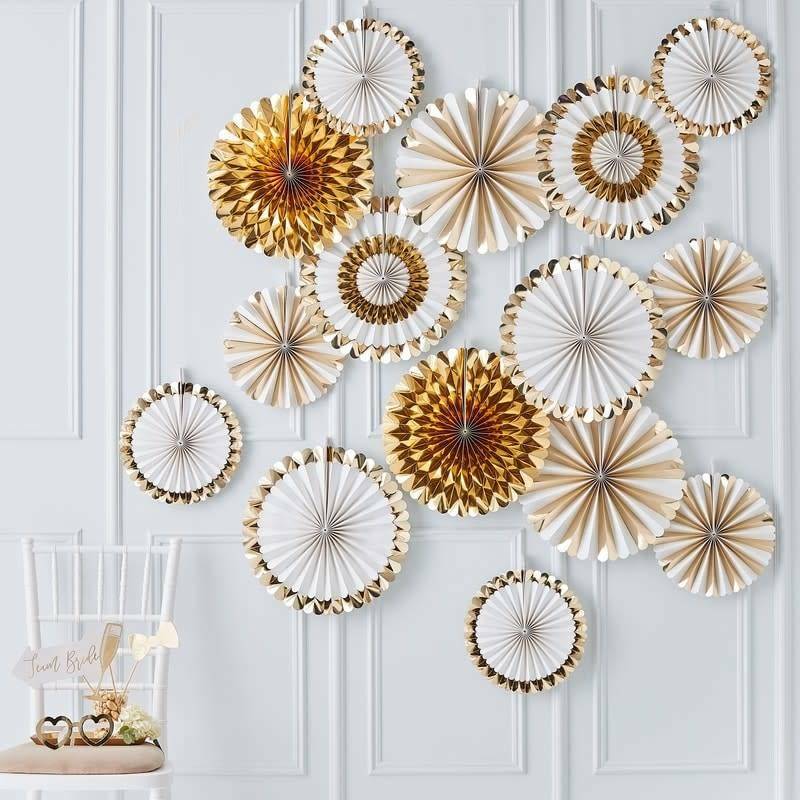 Fill your walls with these lovely gold foiled fans to create the perfect gold backdrop. Easy to hang this decoration is a great way to bring instant glam to any room. Even can be used as a fun and quirky photo booth backdrop.